The upcoming Spider-Man: Into the Spider-Verse animated film looks amazing, and so does this new Mystery Minis blind box series by Funko based on the upcoming movie! 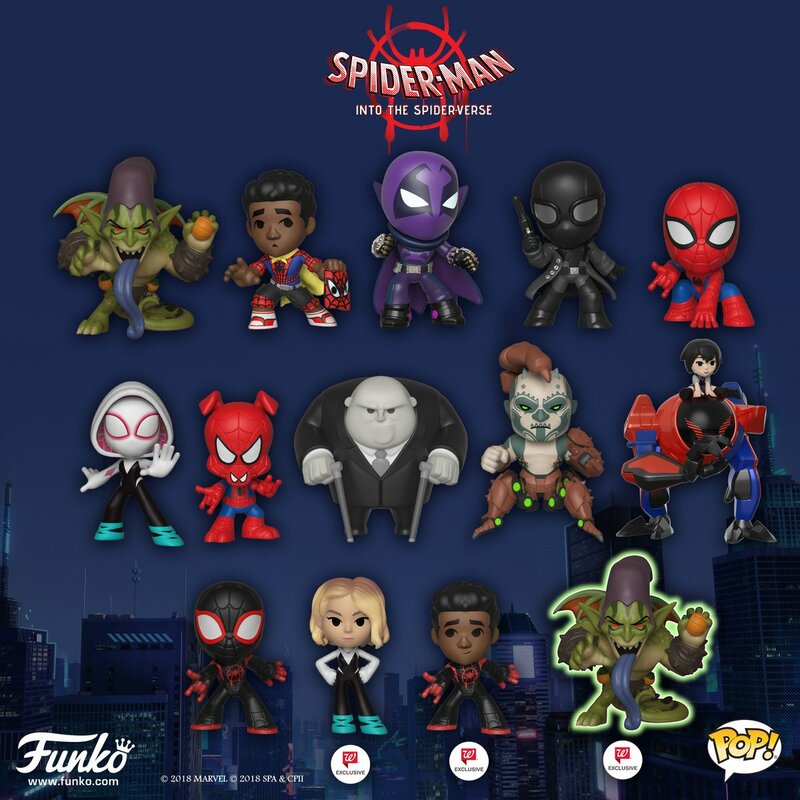 The Spider-Man: Into the Spider-Verse Mystery Minis Series includes Miles Morales with a cape, Spider-Man, Spider-Man Noir, Spider-Ham, Spider-Gwen, an additional Spider-Man, Prowler, Scorpion, Kingpin, Miles Morales unmasked, a third Miles Morales and Green Goblin with rarities ranging from 1/6 to 1/72. 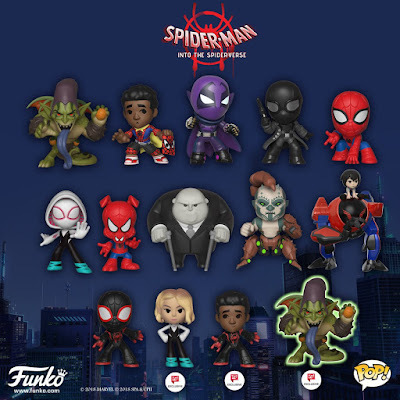 There are also a handful of Walgreens Exclusive Spider-Man: Into the Spider-Verse Mystery Mini mini figures, including Unmasked Spider-Gwen, Unmasked Miles Morales and a Glow in the Dark Green Goblin. 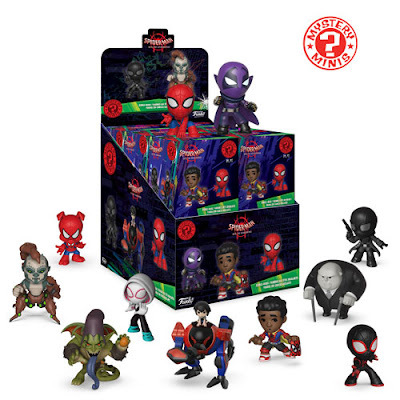 The Spider-Man: Into the Spider-Verse Mystery Minis Blind Box Series features 2.5” mini vinyl figures, and can be pre-ordered now at Entertainment Earth! 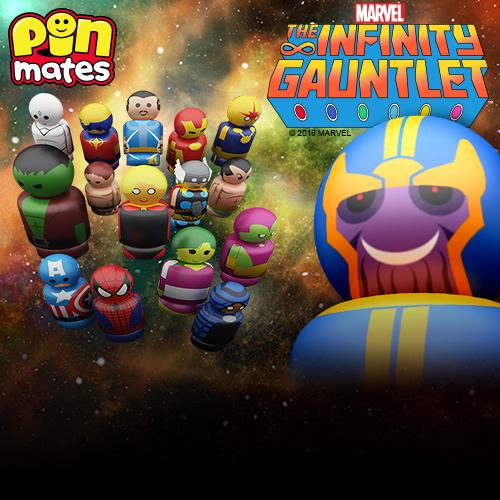 A full case of twelve Marvel Mystery Minis Series blind boxes can be purchased for $67.99 or a 4 pack of blind boxes for $24.99 here.